This reproducible original artwork is based on Ephesians 2: 14-17 and features the text “Peace to those who are near and those who are far away.” The wings of the dove have the word “peace” in 5 languages – Hebrew, Arabic, Spanish, Korean and English. 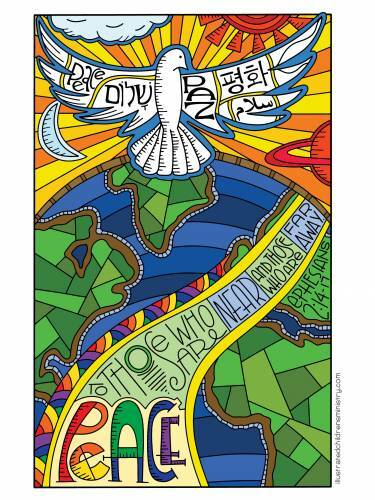 Designed for the 2017 Season of Peace by the folks at Illustrated Children’s Ministry, the artwork can be downloadable in a variety of sizes – 8.5×11, 11×17, 24×36 and 36×48 (in color or black/white). 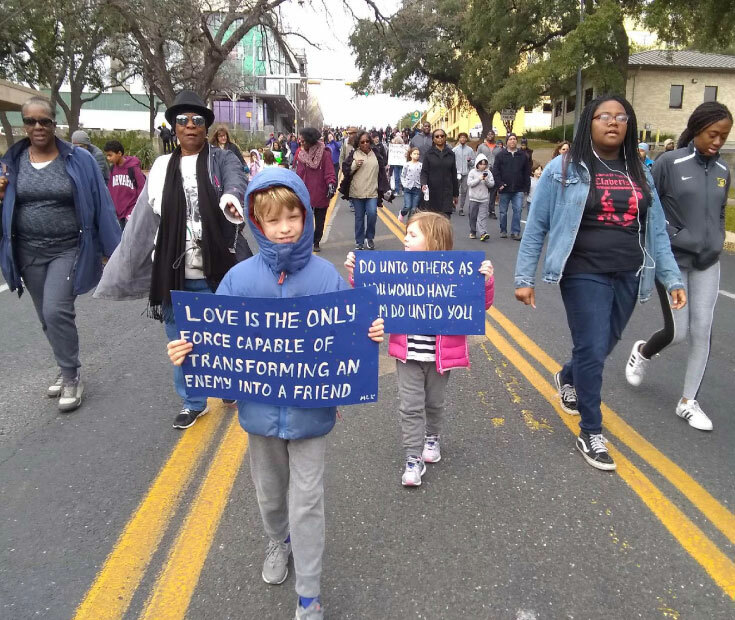 It can be used as individual coloring sheets or enlarged to poster-size for a group coloring project through the weeks of the Season of Peace. You can have a local printer print the file onto poster or foam core board. Then put it up in a community room, narthex or fellowship hall, supply plenty of great coloring pens and invite folks to add color to the poster each week during the Season of Peace.